A university is supposed to be the highest seat of academic excellence and enlightenment. Yet it is one place which has not opened up to women in higher academia or assigned them a leadership role. This is a sad reality in the Western world although the gap is sharper in India. In fact, the number of women vice-chancellors in India is dismal, still under 20 among the 700 odd institutions, both public and private. Studies put only three per cent of Indian vice-chancellors as women while in the UK that figure hovers around 14 per cent. Both are a comment on women’s participation in shaping the discourse of modern education. While the number of women enrolling at the undergraduate level is equal to or even surpasses men, this bleeds out in the post-graduate and research studies. Similarly, even in the teaching staff, while most women are to be found in junior positions, they rarely make it to senior appointments and leadership roles within higher education institutions. 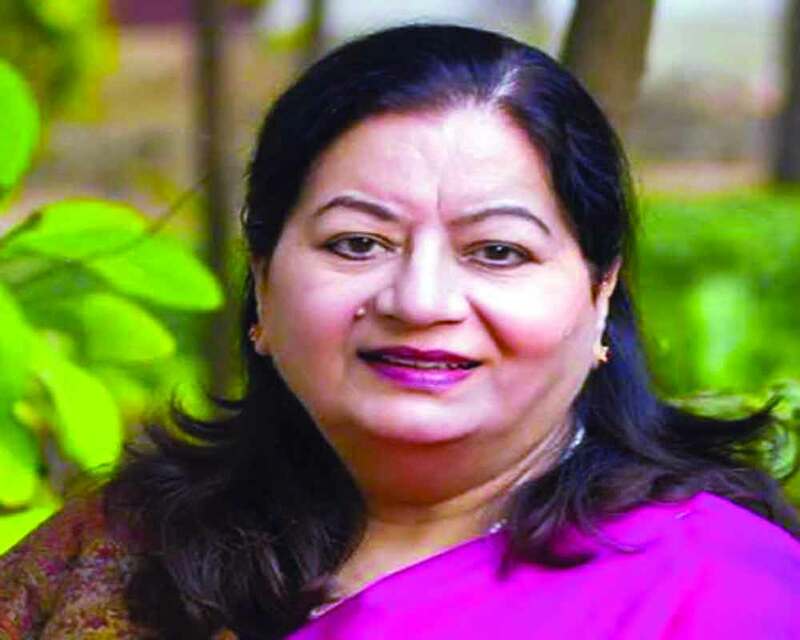 It is in this context that the academic Najma Akhtar’s appointment as the Vice-Chancellor of Jamia Millia Islamia University is significant. Not only is she the first woman to head it since its inception 99 years ago, she is also the only V-C of a Central university located in Delhi. A gold medallist from Aligarh Muslim University, she made the cut because she has specialised in institution-building, educational administration and management and taken pioneering steps in distance education. And though she is proud of breaking the glass ceiling, she immediately addressed the reasons for the lack of gender diversity in higher education management, considering women are sought after in these roles in businesses and other disciplines too. Part of the problem, Akhtar said, was the absence of readymade role models that solidified the idea that this was a male-dominated space where women should not waste their efforts in making headway. “Whenever people are calling me now, I tell them please keep on applying wherever you want to be. It will happen,” she said, using her position to call out to women academics to get off the blocks. Besides, Akhtar felt that women in administrative positions at universities would be better than men in smoothening out managerial duties and dealing with young students. That there can be no assumptions about leadership was proven by her swift announcements that she would look for collaborations with industries to make courses relevant and job-oriented, modernise courses, encourage research and open a medical school. But Akhtar is a blip in the real world of academia where high office is still considered a near impossibility by women. That’s because they still see themselves as scholarly achievers in an individual capacity than systemic stakeholders in a process. Besides, women’s inclusion in higher education is still very low pan-India. Even if they break through, they tend to dominate social science and humanities. By virtue of low participation and follow-through to higher degrees, there are far lesser women in the STEM (science, technology, engineering and mathematics) subjects, which lend them an edge as a claimant to the top position. With lower numbers and a lopsided hierarchy system, career advancement is often a long, competitive and individual struggle and can be a disincentive to pursuing the chair. Particularly when aspirants have to factor in gendered role-playing in their homes as well. This explains the presence of excellent women teachers and even deputies in administrations but not the top job. Yet it is in academia alone that women can justifiably challenge societal spaces and set an example for the generations after them. Simply because it is easier to do away with cultural assumptions in a world of learning than any other scenario.